The Counter-Rocket, Artillery, Mortar (C-RAM) Intercept Land-based Phalanx Weapon System (LPWS) program evolved from the operational success of the C-RAM system-of-systems effort in theater. It transitioned to an acquisition program to provide counter-RAM protection to the Indirect Fire Protection Capability (IFPC)/Avenger Battalions, 5th Battalion, 5th Air Defense Artillery (ADA) Regiment and 2nd Battalion, 44th ADA Regiment. C-RAM Intercept LPWS provides IFPC/Avenger battalions with the ability to defend against and defeat enduring Indirect Fire (IDF) threats. Countering IDF threats requires a holistic design approach. C-RAM Intercept LPWS works with the C-RAM system-of-systems architecture and with other program of record systems to provide the complete suite of C-RAM capabilities. The major components interoperating with C-RAM Intercept LPWS at the IFPC/Avenger battalions include Air and Missile Defense Planning and Control System shelters; RAM Warn hardware; C-RAM Communications Network; C-RAM Command and Control workstations; and multiple counter-fire target acquisition radars, including AN/TPQ-50 Lightweight Counter Mortar Radars, AN/TPQ-53 radars, Sentinel radars and Ku-band Radio Frequency System radar. In 2013, the Army Acquisition Executive (AAE) designated C-RAM Intercept an Army acquisition program and authorized fielding of LPWS guns and support equipment to the IFPC/Avenger battalions. Fielding is ongoing. C-RAM Intercept LPWS provides C-RAM protection to warfighting personnel and high-value assets by detecting RAM launches and intercepting rounds in flight. 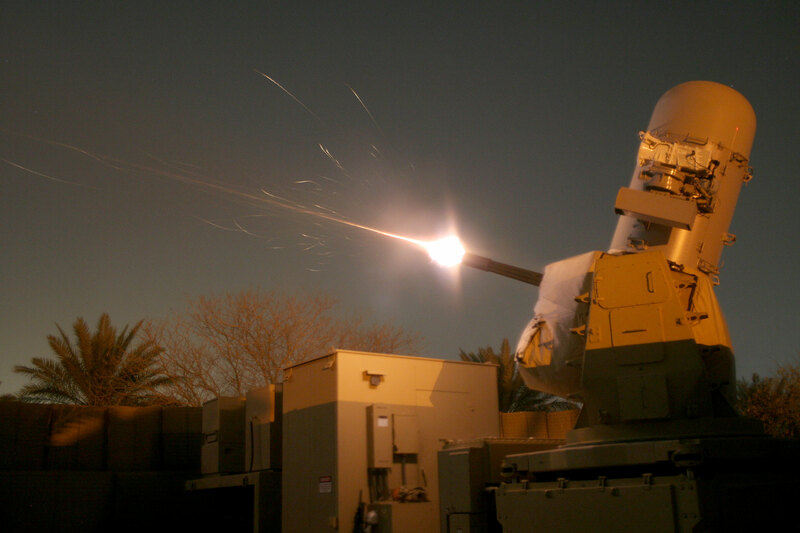 To date, the C-RAM Intercept LPWS capability is credited with more than 375 successful intercepts of rockets and mortar rounds fired at high-value theater assets, with no fratricides or collateral damage.